JK Rowling’s Lethal White – the fourth instalment in the Cormoran Strike novels, written under her pseudonym Robert Galbraith – will be released on 18 September. In a tweet announcing the news, the author also revealed the cover design. The book will once again follow the private investigator Strike and his assistant Robin Ellacott. Publisher Little, Brown confirmed the pair will investigate a crime witnessed by a “troubled young man”, named Billy. The “twisting trail” will lead them “through the backstreets of London, into a secretive inner sanctum within parliament, and to a beautiful but sinister manor house deep in the countryside,” it says. The blurb also teases developments in Strike and Ellacott’s relationship – deemed “more fraught than it has ever been”. “Robin is now invaluable to Strike in the business, but their personal relationship is much, much more tricky than that,” it continues. The author previously revealed to the BBC’s Lizo Mzimba that Lethal White will pick up immediately after the events at the climax of the third novel, Career of Evil. The three previous Galbraith books, The Cuckoo’s Calling, The Silkworm and Career of Evil have so far sold 1.2 million print copies for £7.5m according to Nielsen BookScan. 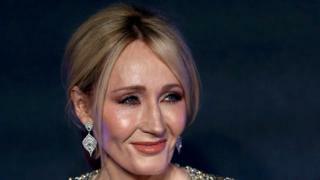 Cuckoo’s Calling sold about 1,500 copies before Rowling’s identity as the author was revealed by the Sunday Times newspaper. 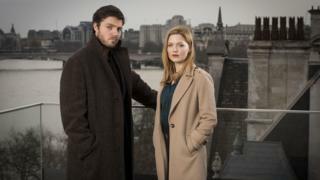 The BBC has adapted the best-selling series for television, with British actor Tom Burke cast as Strike and Holliday Grainger playing Ellacott. Lethal White is available to pre-order now.